A talking fox. A pig doing stand-up. A singing pile of poo. A robot reciting slam poetry. You’re going to see all these things and more all over your iMessages and social media feeds in the coming months. They’re called “Animoji” and they’re Apple’s frivolous, fun, and downright addictive way to show off the capabilities of the TrueDepth camera in the iPhone X. If you want to know how they work and what you can do with them, read on. Once you learn a few tricks, they’re a lot more flexible and fun than just sending an iMessage to your friend as a talking pig. 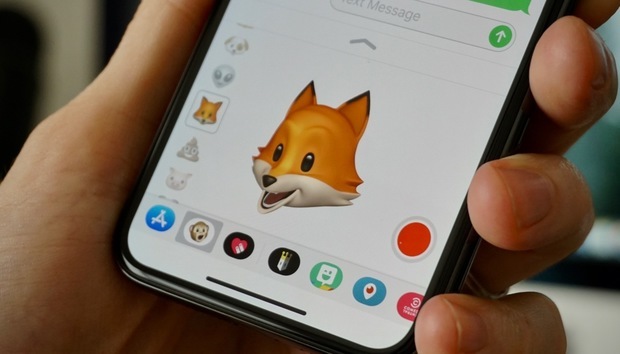 The word Animoji is a portmanteau of “animated” and “emoji,” and that’s exactly what these are. It’s a feature exclusive to the iPhone X that uses the front-facing TrueDepth camera to scan your face and make an emoji follow your facial expressions and mouth position. When you talk, or squint, or shake your head, the Animoji will do the exact same thing. It’s more fun than it sounds! Do Animoji use my Face ID data? No. No apps can use your Face ID data. The operating system doesn’t even have access to it. It’s locked away in the Secure Enclave on your iPhone (a separate piece of silicon from the main processor), and is never sent to Apple nor shared with any apps at all. But developers do have access to the TrueDepth camera through the ARKit interface, which takes the regular front-facing camera input and combines it with a course 3D mesh of your face. Developers can’t use this info to unlock your phone, or analyze it to produce a set of data that could unlock your phone. In practice, it’s not really more dangerous than taking a selfie. In other words, Animoji (and other apps) use the same hardware as Face ID, but Face ID is a different, totally separate set of data. Animoji are are found in the iMessage app, built right in to iOS 11 on the iPhone X. Just launch Messages, and then start a new message or open a thread to reply to someone. Look for the little monkey face at the bottom (if you don't see it, tap the grey App Store icon next to the message line). Tap the monkey to get into Animoji. Once you start up the iMessage app, you’ll notice that the animated character begins tracking your facial expressions and mouth movement. Press the red button to record, or scroll through the list on the left to change characters. Tap the up arrow to make the Animoji app window bigger, so you can more easily see all the available emoji. Which emojis are available as Animoji? Given the popularity of Animoji, I’m sure updates will follow to add more characters. How long can an Animoji recording be? Animoji recordings are limited to just 10 seconds. That’s enough for a quick message to your friend, but not nearly long enough to sing a song, or deliver one of your favorite movie monologues. 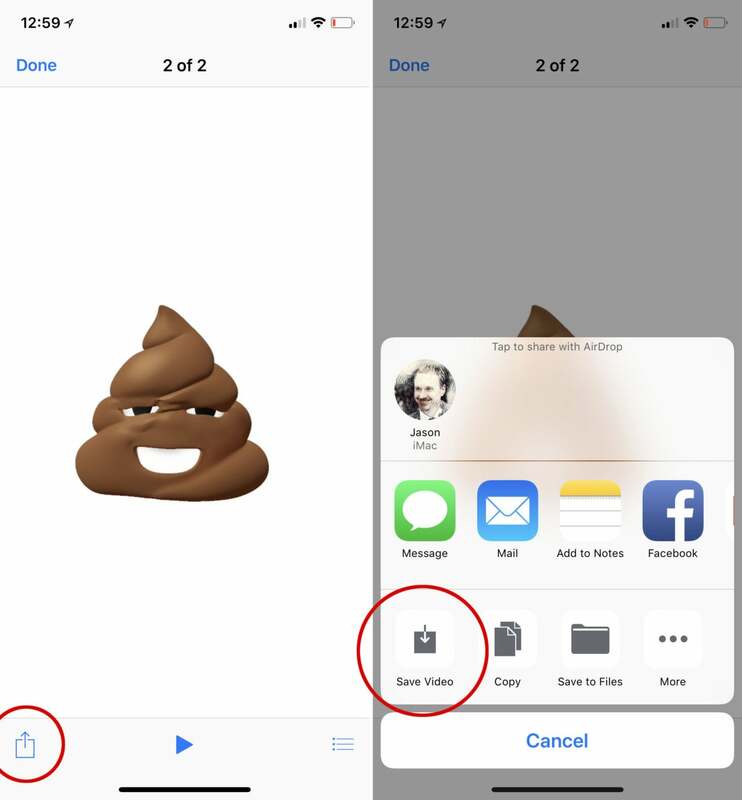 How do I save my Animoji recordings? Once you have sent an Animoji message, or if you receive one, tap on it to play it. You’ll notice a Share button in the lower left. Tap the Share button. Then tap Save Video. Now it’s in your camera roll! Tap the share button, then Save Video to save your Animoji masterpiece. How do I use Animoji in other apps? You’ll do the same thing as the above step, only instead of pressing Save Video, you’ll press the share icon of whatever social media or other app you want to use. If the app doesn’t have a share icon, no problem—just Save Video, then open up the app you want to use and deploy your Animoji recording exactly as you would any other video. How do I make Animoji Karaoke? Animoji Karaoke, where people lip-sync to their favorite tunes using Animoji and share them on social networks, is a hot fad. But how do you sing along to your favorite song if Animoji recordings can only be 10 seconds long? 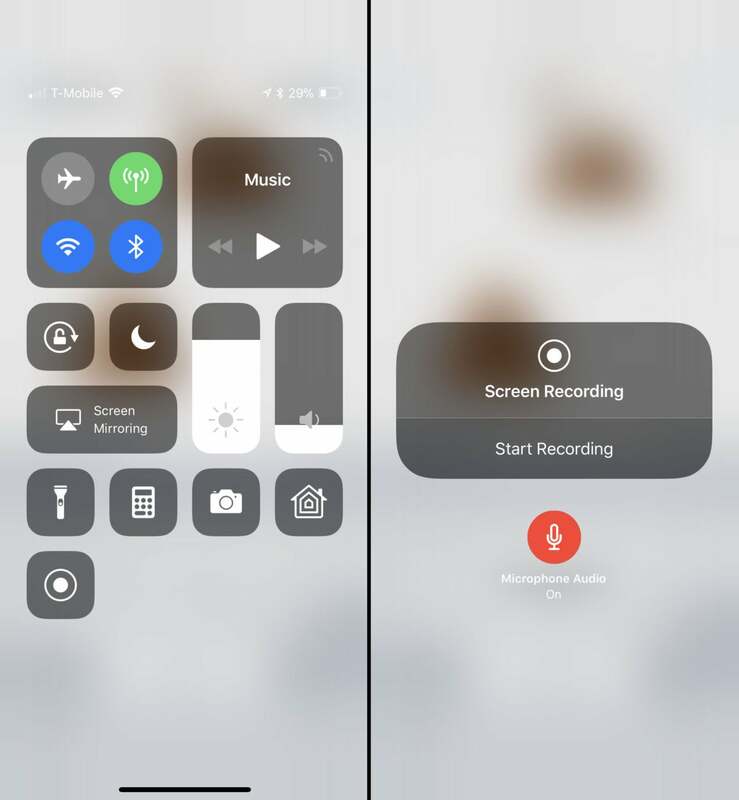 You go around the time limit using iOS 11’s built-in screen recording! Step 1: Find a song and play it from a source other than your iPhone X. Music playback stops when the Animoji interface comes up, so you’ll need to play it from another sound source, loud enough for your iPhone’s microphone to clearly hear. Step 2: Open up Messages and the Animoji interface. Pick your Animoji. Step 3: Open Control Center (swipe down from the upper-right edge of the screen) and tap on the screen recording button. You may want to press firmly to open the 3D Touch interface for it, and make sure the Microphone Audio option is On. Record your Animoji Karaoke performance with screen recorder, and edit it later. Step 4: Close control center and perform your lip-sync. Don’t bother pressing the Animoji record button. When you’re done, press the side button (which stops screen recording without opening Control Center). Step 5: You now have a full-screen capture stored to your iPhone. You’ll need to edit it down, though. You can trim the ends easily enough using Photos on your iPhone, or iMovie. But if you want to really crop out the Animoji and remove all the interface stuff, you'll need to download another app. That's the quickest and easiest way to make Animoji Karaoke. If you really want it to look at sound great, you should use a video editing program to replace the audio track with a quality recording. And you can use a split-screen effect to use multiple Animoji recordings to do duets, too.